Baby's got a strong backhand and a strong blow dry. 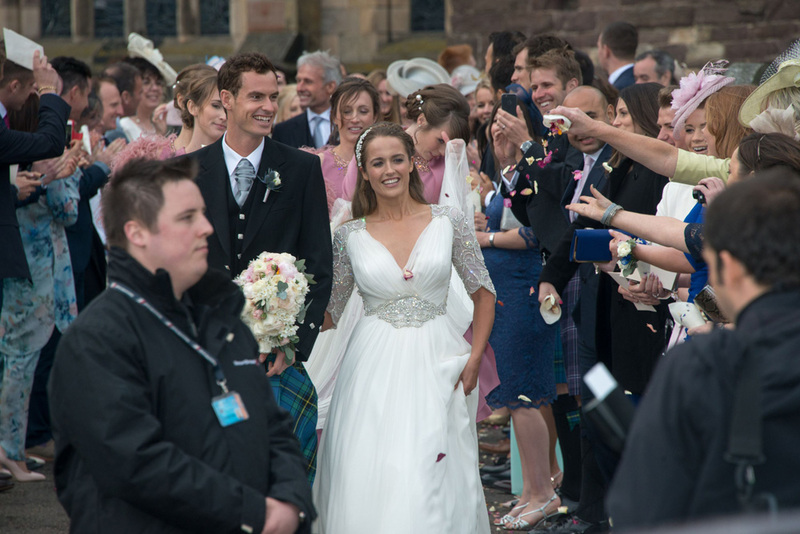 Congratulations are in order for Andy Murray and Kim Sears who have welcomed their first child – and it’s a girl! The British tennis number 1 and his wife announced their happy news via the BBC this morning, after Kim reportedly gave birth on Sunday night. As for the little girl’s name… a family friend has revealed she’s called Sophia Olivia. Lovely, right? However, Andy and Kim have yet to confirm whether this is indeed the name they’ve picked for their daughter. Bookies had speculated that the couple would opt for a traditional Scottish name – Freya, Alexandra and Elizabeth were favourites with the betting agents. Despite media interest, the couple managed to keep all info completely secret until this morning, opting to release information on Twitter – as many a pregnant celebrity chooses to do these days. Andy and Kim married in April last year after 10 years together, with Scotland’s royal wedding attracting huge crowds of well-wishers plus tons of press interest in that wedding dress. See all the wedding pictures in the gallery above. Social media tributes have started pouring in for the couple already from sports stars, tennis rivals – and even Scottish First Minister Nicola Sturgeon. Congratulations Andy and Kim from all at Marie Claire!